I was goig to sell this product But thought be a great season gift for everyone . So thank you for your purchase of my Magic Pane background prop. I use these panes for animation with iray it saves on computer resources, and allows me to create huge pre-rendered scenes as back grounds without killing my computer resouces so I can add people and other things. You can add any background image you like to these pane. 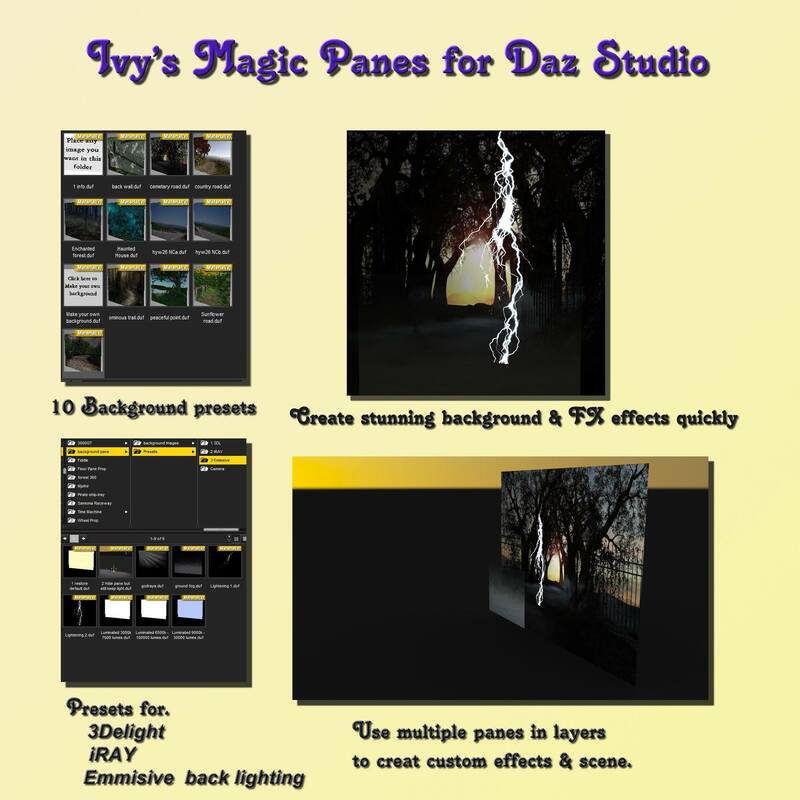 I included some samples images to get you started..
Add as many panes to a scene as you like to make different, light-effects,godrays,ground-fog & lightening effects. Daz Studio 4.10 required to use this set. Set come with both 3delight and iRAY mat presets. 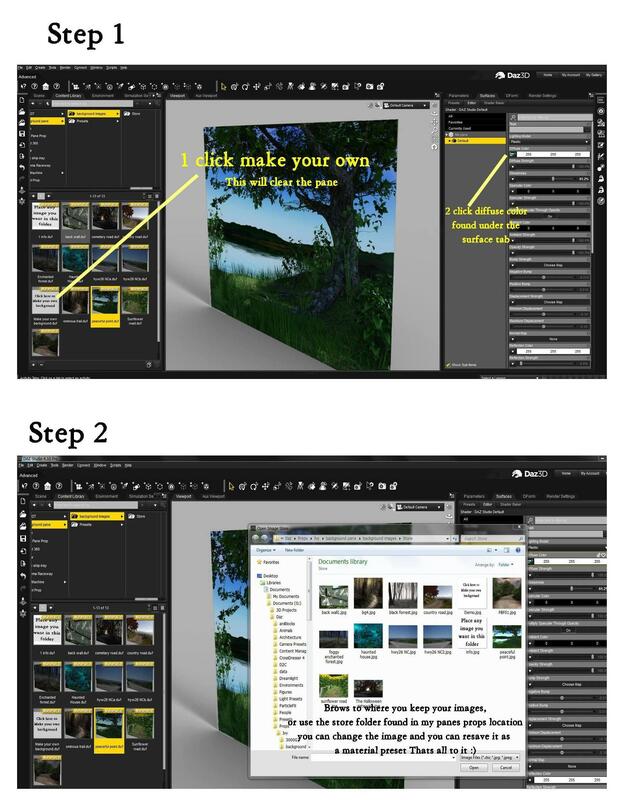 The pane can be scaled any direction to fit any render size and can be moved freely. default camera setting included to get you started,. Thank You very much, this looks great. And thanks for 3Delight support. Thanks so much for this Magic Pane Ivy and the 3Delight support!! This looks amazing - many thanks!